Don’t Be Daft, Drink A Draught | Birth.Movies.Death. When you're bending an elbow at the pub are you holding a pint or a bottle? A while ago, in the comments section of one of these pieces, it was suggested that I sounded like a draught snob. I was never able to pin down exactly what prompted that comment but it got me thinking about how often I drink bottled beer in a pub or a bar, and the answer I came up with is almost never. Looking back to the time I first started drinking in pubs it's almost always been that way, and that started me wondering why. To me, draught just seems the natural way to drink beer in a pub/bar setting. I don't have a prejudice against bottled beer; after all, it's the only way I can drink it at home, and some of the beer I drink at home is bottle-conditioned and damn fine stuff, but it's still not quite the same to me. A pint pulled from a firkin or pushed from a keg is what I go to a pub for. For all but the past few hundred years of beer's history it's been consumed as draught. Once civilisation became organised enough to treat beer as a commodity to be manufactured and sold for profit it was usually brewed at the place where it was sold and drunk (inn, alehouse, Roman mansio) and it remained that way until the industrial revolution and the growth of commercial brewing. Until then (and for years afterwards) beer for consumption at home would have mostly have been brewed at home, whether home was a cottage, a farm or the Lord of the Manor's estate, or it would have been bought as draught and carried home in whatever suitable container the drinker might have had for the purpose, a practice that continued well into the 20th century even when bottled beer was commonplace, and still does today with beer geeks lining up a day or two in advance to get their growler of Pliny the Younger, Kate the Great or Dark Lord. And I long for the day I can visit Live Oak, (512), Independence or any of the other local breweries and take home a polypin of their draught (hopefully cask-conditioned) beer. We'll need a change in the Texas alcohol code before that can happen. Although bottled beer has a longer history than we might imagine, serving beer from some kind of vessel (sometimes the vessel the beer was fermented in) larger than a single serving has been the predominant method of dispensing it for centuries, whether the beer was poured from a stoneware jug or tapped from a wooden barrel. It wasn't until the mid 1600s that putting beer into bottles started to become commonplace enough for someone like Samuel Pepys to comment upon it, and even then it was mostly done by domestic brewers. Commercial bottling was still another 50 - 100 years off, largely because the quality of glass bottle available at the time wasn't up to the job of containing a beer that was still fermenting and building up internal pressure. Even when bottling on a larger scale became feasible it was still held back by the necessity of having to employ dozens, even hundreds, of people to drive corks into the bottles. 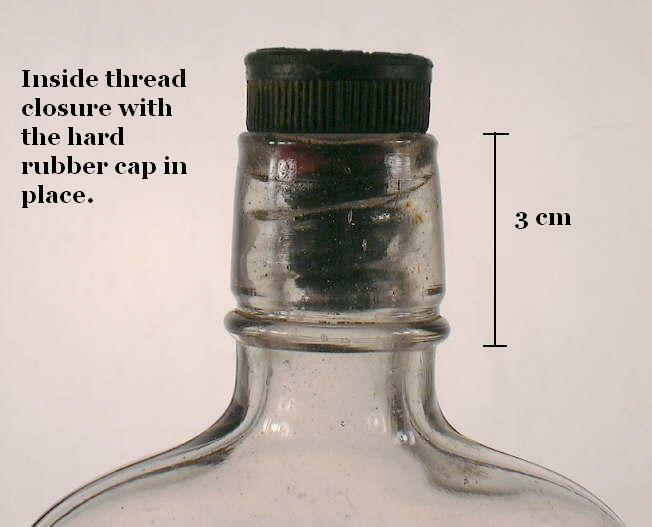 Screw-top stoppers (like this) and the crown cork (aka modern bottle cap) were 19th century inventions. The twist-off crown cork didn't appear until well into the 20th century. And I reckon I only need the fingers of one hand to count the number of people reading this who aren't familiar with the swing-top stopper, most famously used by Grolsch, but did you know that it's also known as the beugel, which is a Dutch word meaning brace or bracket? Draught beer has certain advantages over bottled (and canned), both for the small brewer and for the consumer. As far as the brewer is concerned it's one less headache to have to deal with. Bottling lines are expensive to install and maintain, the brewer will need to order bottles, six-packs and cardboard cartons (and find storage space for them), and if they're bottle-conditioning their beer there's always a chance of under- or over-priming it with sugar and yeast (the first resulting in relatively flat, lifeless beer, the second in bottle bombs!). Draught beer comes more cheaply to the consumer because kegs, although expensive to purchase, are made to be washed and refilled many times over. It's cheaper to transport (the container-to-liquid weight ratio being far more advantageous than for bottled - although maybe not canned - beer), and it's far easier for a bar to deal with kegs, once they've installed their draught system, than it is with cases of bottles. Then there's the problem of skunking. Sunlight reacts with hop-derived chemicals in beer to produce that very distinctive and unpleasant skunky odour. Now, while that can happen to draught beer if you were to go outside with a pint on a bright day and drink your beer at a leisurely pace, the beer stands no chance of becoming skunked until it leaves the keg/firkin/barrel. Beer that's in clear or green bottles stands a far higher chance of becoming skunked if not stored away from light, even indoor lighting, than beer that comes in brown bottles. Cans don't suffer from this problem because we haven't yet invented transparent aluminium. As far as I know. There can, of course, be a downside or two with draught. The cooperage involved in sending out kegs or firkins can get a bit complicated if you brew a beer that bars are going to want to hang on to and age for months, or years, and tie up your precious investment in stainless steel. And I've heard it said that if you export kegs from one continent to another (think Bass Pale Ale from the UK to the US), there are between 60 and 70 kegs in transit (either going out full of beer or coming back empty) for every keg that's in a bar and tapped. And that's without getting into the growing problem of keg theft. While breweries and distributors might put a $30 deposit on each keg delivered, it costs around four times that to replace each stolen keg. Non-returnable plastic kegs such as the keykeg which can be disposed of or recycled have been around for a few years but I honestly don't see them replacing metal kegs any time soon, although they have obvious advantages when exporting beer. A draught beer system, like any machine, and especially any machine that dispenses food or drink, needs to kept clean. This a subject that comes up in the beer geek forums from time to time. The often uninformed nature of the comments suggests to me that they're frequently voiced by people who haven't been involved in the industry and aren't aware of the day-to-day operations of a bar or pub and the regularity with which beer lines are cleaned. While there will always be those who cut corners and shave costs, human nature being what it is, it's been my experience that this is far less of an issue than it's sometimes made out to be by a vocal minority. Incidentally, in the centuries before large-scale commercial brewing became feasible thanks to the industrial revolution, steam engines etc, there were plenty of what today we would call microbreweries, particularly in towns and cities where the concentration of population made it worthwhile to operate a brewery, but these would have been relatively small-scale and had only local distribution because of the difficulty of transporting anything as heavy and cumbersome as liquid without paved roads, canals or railways. Practical reasons aside, for me this all boils down to cultural influences. I'm writing this from a personal point of view but I don't think I'm being too presumptuous in saying that the vast majority of British beer drinkers associate pubs with pints rather than bottles, and although I can't speak for German, Czech and Belgian drinkers, I'd be surprised to find that there wasn't a similar collective opinion there too, although perhaps not quite so much in Belgium where bottle-conditioning has reached a pinnacle of excellence. 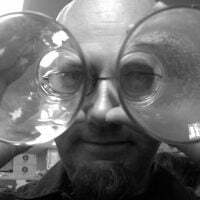 For sure, most TV commercials I can think of (and my memory of these things stretches back to the early 1960s) that are selling British style beer - predominantly bitter - and a significant proportion of those selling lager and cider strongly reinforce the association of pub and draught. Even packaged beer for home consumption was described as 'draught bitter'. I think the main reason (besides all those centuries of there being no such thing as bottled beer) has to be that the British pub is intimately associated with cask-conditioned ale - something which by its very definition is a draught beer and not available at home (unless you're a very skilled homebrewer with enough people on hand to drain a pin or a firkin within three days). The combined skills of the master brewer and the pub cellarman come together in the living, breathing liquid that is a well-looked after and properly poured pint of real ale. There's nothing quite like it, and even if it isn't a pint of cask the average Brit is going to the pub to 'sink a pint or two' or 'have a swift half'. There are some superb beers to be had in bottles or cans, but as far as I'm concerned packaged beer is mostly a way to drink it at home until that wonderful day when I can bring home a polypin of Jester King Petit Prince, or find space for a kegerator. With all that weight of cultural history sitting on my shoulders my mind has irrevocably associated drinking in a social setting with drinking draught beer and that's never going to leave me until the day I die, so it's no surprise that when I go for a drink in any of the bars I've visited during the nearly 13 years I've lived in Texas I'm looking forward to a pint or two, and the US craft beer revolution has provided me with some of the best beers I've ever tasted.